Apple has never been shy about its disdain for Android. At nearly every press conference, Tim Cook takes at least one jab at Android’s fragmentation and its poor app store monetization strategy. Apple thinks everyone should be on an iPhone, and while the company already put together a support document that walks a user through that transition process, with iOS 9 it is going a step further. Buried in the list of new features, Apple will simultaneously release an Android app, a first for the company, that makes it easy for users to back up contacts, calendar information, bookmarks, photos and videos, messages, mail accounts, wallpapers and “DRM-free songs and books,” as well as a list of installed apps, for transition to Android. Called Move to iOS, the app will likely upload that information to iCloud, which will then, once installed on an iPhone, make it easy to download identical or equivalent free apps to an iPhone. 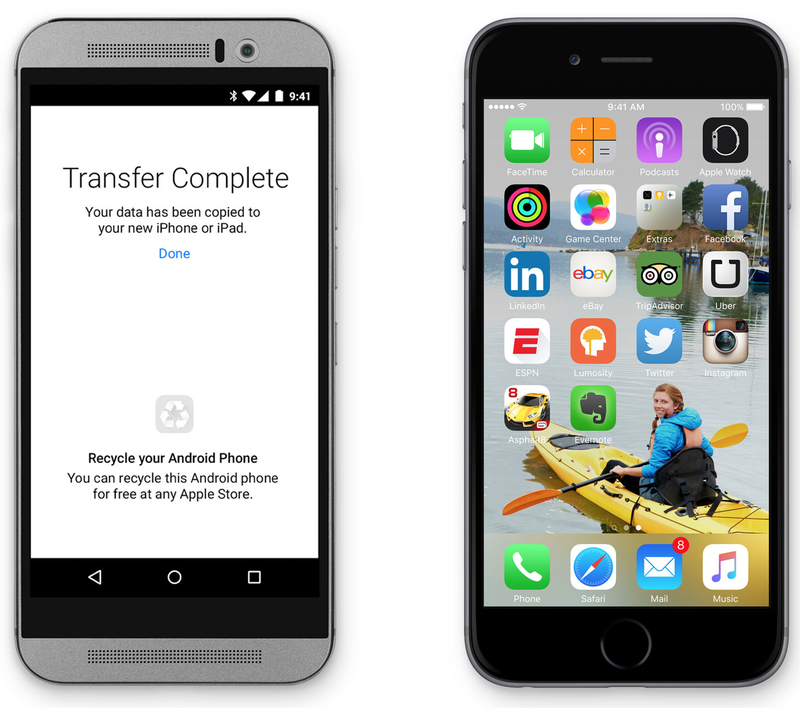 As a kicker, Apple also suggests users can recycle their used Android phones for free at any Apple Store. Move to iOS isn’t the only Android app made by Apple announced today. The company also promised a version of Apple Music for the platform, which should alleviate any platform lock-in concerns.